The Safety Institute of Australia holds regular events, webinars and conferences throughout all of Australia's states and territories. 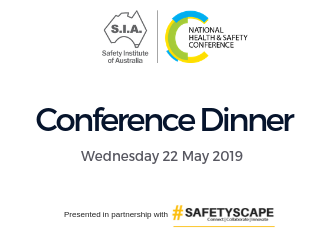 The Safety Institute of Australia invites you to join us for the 2019 Conference Dinner which is being held at #SAFETYSCAPE in conjunction with the SIA National Health & Safety Conference on Wednesday 22 May 2019 from 6.30 to 10.00 pm. 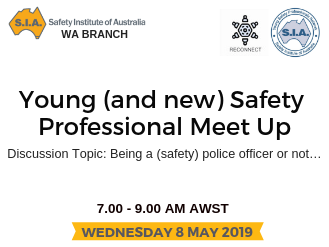 The Safety Institute of Australia invites you to attend the 2019 The Executive Breakfast which is being held at #SAFETYSCAPE in conjunction with the SIA National Health & Safety Conference on Thursday 23 May 2019 from 7.00am - 8.30 am.